We gladly present TPO as an energy efficient product, Energy Star product. We have the experience and product knowledge to offer you the right roof system at the right price. TPO single ply has been tested on heavy rains and one of the few products that can survive under standing water. ​No smelly tar and vapors. 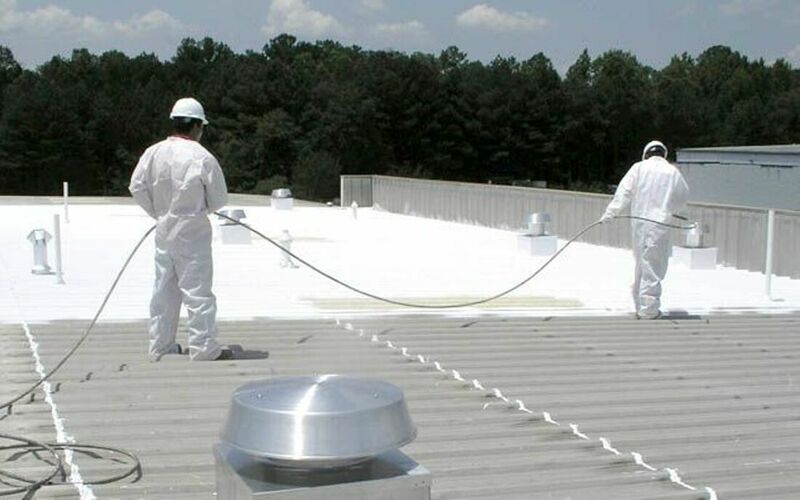 ​We also offer fiberglass with gelcoat finishes and multiple fluid applied roof coatings. Some of the coatings we offer include silicone, sebs, and the budget friendly acrylic coating. As a Single Ply Roofing Contractor in Central New Jersey area, we specialize in single ply roof installations, single ply roof repairs, and single ply roof maintenance in Monmouth, Ocean, Mercer, and Atlantic Counties. EPDM Rubber, TPO and PVC single ply roof systems consist of flexible sheets, made from state-of-the-art polymer manufacturing technology. The Single ply membrane is mechanically fastened or fully adhered to the roof deck with all seams hot air welded. The highest level of expertise is required for the successful installation of a single ply system. There is no room for error, every seam, penetration and rooftop detail must be flawlessly adhered. 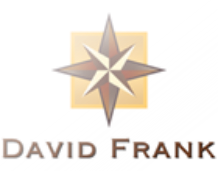 David Frank single-ply roofing experts are highly experienced, manufacturer certified installers of all single ply roof systems. Offering new installations and maintenance programs for all your buildings needs. 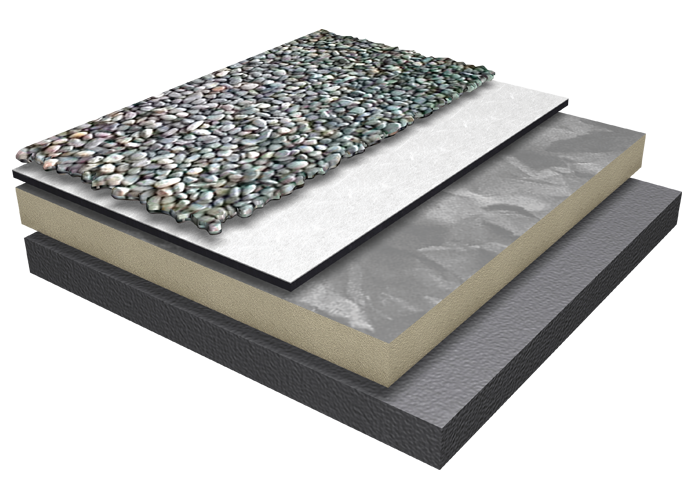 Firestone and Mule Hyde Roof SystemsUltraPly TPO Roofing System is suitable for a variety of low-slope commercial roofing applications and is a sustainable roofing solution for a wide range of building types. 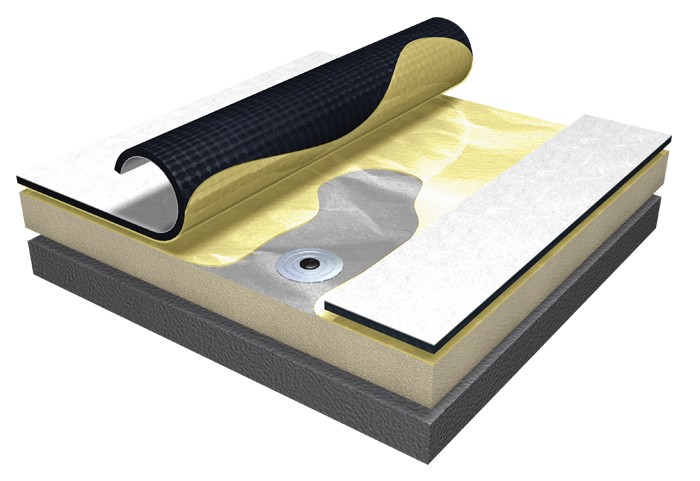 White and tan UltraPly TPO membranes meet the new version of Energy Efficiency Standards for Residential and Nonresidential Buildings and are listed with the Cool Roof Rating Council (CRRC). 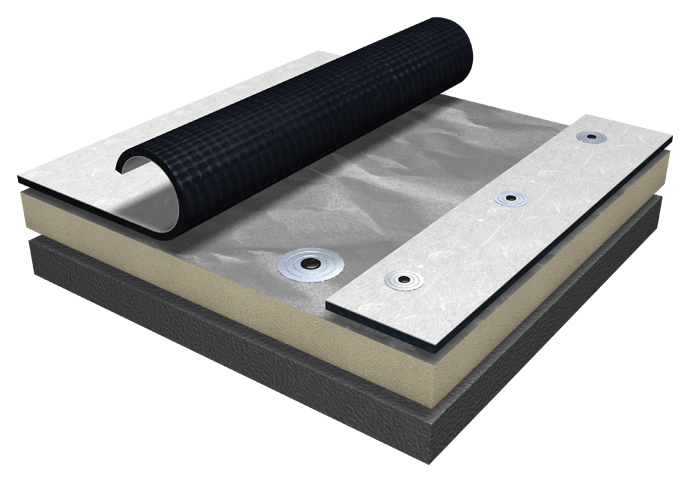 GAF’s EverGuard® TPO combines weatherability of EPDM with the reflectivity and seam strength of PVC. EverGuard Extreme® Advanced Protection® TPO offers exceptional performance in all applications, including high heat and solar. EverGuard® PVC offers the advantages of heat-welded seams and high reflectivity, plus superior resistance to chemicals, oil and grease. Available in widths of 8', 10' and 12' for less seams and less labor compared to standard PVC sheets. More product on top of the scrim where needed most, one of the thickest top plies in the industry. Keeps moisture out, yet lightweight, making it ideal for new construction and retrofit installations without adding excessive weight to the roof deck. TPO can handle the desert sun, sand, arctic freezes and torrential downpours. Stands up to rooftop traffic, tools and equipment. The membrane remains flexible in hot and cold temperatures and will not split or crack.